Maintenance contracts are a necessary investment when it comes to critical power solutions such as UPS systems and standby power generators. You can also view them as an investment and wisely so for other reasons. Most UPS manufacturers now produce fairly homogenous products. Their UPS systems have little to differentiate themselves in technology apart from whether they are mono-block or modular UPS systems. Operating efficiencies are fairly standard across the industry with marginal differences. There may be slight differences in operating efficiencies and different loads and a host of energy saving features to consider such as eco mode and sleep mode. However, a key and developing area for competitive advantage is in the warranties offered and projected service costs over the working life of a UPS system. Most manufacturers used to offer a one-year warranty covering parts and labour but excluding UPS batteries. Battery warranty is always backed-off to the battery manufacturer and sometimes on a pro-rata basis. Now a two-three year warranty is common place and for some special contracts (read large contracts) a five-year deal is almost always on the table. Warranty only really covers parts and labour however. It does not provide a guaranteed response time and this can vary between UPS manufacturers from next working day to best endeavours. 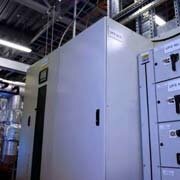 The only way to guarantee a response time when a UPS alarms or fails is through a UPS maintenance contract. Really this is a form of service level agreement (SLA) with a response time built-in that can range form 12 or 8 working hours or 4 clock hours. Some UPS maintenance contracts (and SLAs) may also have a time-to-fix and return-to-service. Of course with a modular UPS system this is almost always achievable as it generally involves the swapping out of a slide-in UPS module. As well as a guaranteed response time, a UPS maintenance contract also gives you additional peace of mind in the form of an annual or bi-annual preventative maintenance visit. Though you might consider it unnecessary in the early years a PM visit can identify early potential failures and rectify them before they bring your critical power system down; or at least onto its automatic bypass supply. There are other components that can generally be purchased as bundles to add to a UPS maintenance contract: battery testing, load bank testing, thermal imaging and even additional parts cover and future battery replacement costs. Our advice is to always check the warranty terms before considering a UPS maintenance contract and then to purchase the plan that gives you more than sufficient response time to site.